Christian Michalik was named chairman of WellCare’s board on March 19, 2015. He has been a WellCare director since 2002. Mr. Michalik has served as managing director of Kinderhook Industries, a private equity investment firm, since July 2004. Mr. Michalik has significant investment experience in the healthcare sector and is currently chairman of several specialized healthcare service companies, including Stratus Video, Inc., StudyKiK Corporation and GlobalHealth, Inc. He has extensive knowledge of capital markets and deep financial expertise. Mr. Michalik holds a bachelor’s degree from Yale College and an MBA from Harvard Business School. Richard C. Breon served as president and chief executive officer of Spectrum Health System, a nonprofit integrated healthcare organization based in West Michigan, from August 2000 to September 2018. Prior to that, Mr. Breon served as president and chief executive officer of Mission Health System, Inc., a member of Ascension Health, and St. Mary’s Hospital and Medical Center in Evansville, Indiana from 1995 to August 2000. Prior to that, he served as president and chief executive officer of Mercy Hospital in Iowa City, Iowa from 1989 to 1995. He has been a director since 2013. Amy Compton-Phillips, M.D. is executive vice president and chief clinical officer at Providence St. Joseph Health. She oversees clinical care, including clinical institutes, nursing, pharmacy, research, telehealth and quality across the organization’s seven-state system. She is a frequent keynote speaker, author and lead advisor for NEJM CaRealyst, a media resource affiliated with the New England Journal of Medicine focused on improving the management and strategy of healthcare. Prior to joining Providence in August 2015, Dr. Compton-Phillips served as chief quality officer at The Permanente Federation (part of Kaiser Permanente) since 2010, where she developed capacity in patient-driven design, enhancing clinical outcomes and care experience, and addressing the affordability of care. While there, she served on the Measurement Applications Partnership with NQF, and on America’s Health Insurance Plans (AHIP) CMO leadership group. Dr. Compton-Phillips joined Kaiser Permanente in 1993 and held a variety of other roles including internal medicine service chief, physician director of the Columbia, Maryland geographic region, physician director for population care and guideline director. Dr. Compton-Phillips is a board-certified internist, with a clinical interest in wellness and women’s health. Dr. Compton-Phillips also serves on the board of Multiscale Health Networks, a joint venture between Providence St. Joseph Health and the Institute for Systems Biology, to provide healthcare technology solutions. 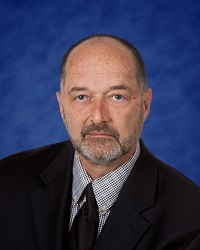 H. James Dallas has served as an independent consultant focusing on information technology, risk and change management strategy through James Dallas & Associates since September 2013. Prior to founding his own consulting firm, Mr. Dallas served as senior vice president of quality and operations at Medtronic, Inc., a global medical technology company. Dallas, who joined Medtronic in 2006, previously served as the company’s senior vice president and chief information officer. Before joining Medtronic, he served with Georgia-Pacific Corporation, a pulp and paper company for 22 years, where he held a series of positions of increasing responsibility in operations and information technology, ending as vice president and chief information officer. Mr. Dallas is also a member of the board of directors of KeyCorp, a publicly held bank holding company; Strategic Education, Inc., an education services company; Grady Memorial hospital, a nonprofit hospital system in Atlanta; and the Atlanta Community Food Bank. He has been a director since 2016. 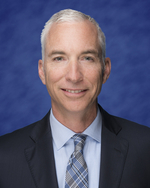 Kevin F. Hickey has served as principal and director of HES Advisors, a strategic advisory firm serving the healthcare, health information technology and life sciences industries, since January 1983. Mr. Hickey also served as senior advisor to Verisk, Inc., a company specializing in healthcare predictive analytics, from January 2008 to March 2012. From January 2006 to December 2007, Mr. Hickey served as president of D2Hawkeye, Inc. (now a part of Verisk, Inc.). He has been a director since 2002. Bobby Jindal was elected as the nation’s youngest governor in 2007 and spent two terms as Louisiana’s chief executive officer from 2008 until 2016. Prior to serving as governor, Mr. Jindal served in the U.S. House of Representatives for the state of Louisiana from 2005 to 2008. He previously held positions as assistant secretary of the U.S. Department of Health and Human Services; president of the University of Louisiana System; secretary of the Louisiana Department of Health and Hospitals; and executive director of the National Bipartisan Commission on the Future of Medicare. He has been a director since 2018. Glenn D. Steele, Jr., M.D. 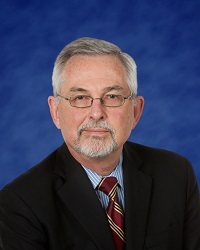 Glenn D. Steele, Jr., M.D. currently is chairman of GSteele Health Solutions, an independently operated venture launched to help healthcare organizations create value and improve quality. In addition, Dr. Steele serves as Vice Chair of Health Transformation Alliance, a cooperative founded by ˜46 of America’s most successful corporations with a common goal to improve health care outcomes for their 6.5-7 million sponsored lives. 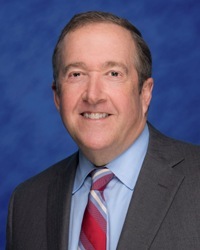 He is the former Chairman of xG Health Solutions (2013 to 2018) and former President and Chief Executive Officer of Geisinger Health System (2001 to 2015). 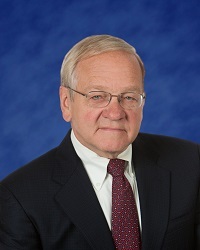 William L. Trubeck served as interim executive vice president and chief financial officer of YRC Worldwide Inc., a freight, shipping and trucking services company, from March 2011 until July 2011. He also served as a director of YRC Worldwide, Inc. from 1994 until July 2011 and was chair of the audit/ethics committee. 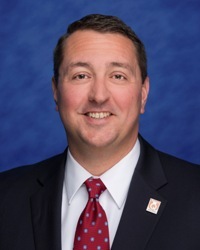 Mr. Trubeck also serves as a director of Dynegy, Inc., a wholesale power, capacity and ancillary services company, where he also serves as a member of the compensation and human resources committee and as chair of the audit and compliance committee. Mr. Trubeck is a former executive vice president and chief financial officer of H&R Block, Inc., positions he held from 2004 to 2007. Mr. Trubeck has been a director since 2010. Kathleen E. Walsh has served as president and chief executive officer of Boston Medical Center since March 2010. Prior to her appointment at Boston Medical Center, Ms. Walsh served as executive vice president and chief operating officer of Brigham and Women’s Hospital from 2005 to 2010. 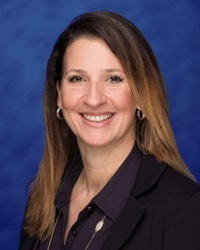 Prior to that, she served as the chief operating officer for Novartis Institutes for Biomedical Research and at Massachusetts General Hospital in positions including senior vice president of medical services. Prior to that, she held hospital administrator positions in a number of New York City hospitals including Montefiore, Columbia Presbyterian Medical Center, Saint Luke’s—Roosevelt Hospital Center and the New York City Health and Hospitals Corporation. Ms. Walsh is a member of the boards of the Federal Reserve Bank of Boston, the Boston Public Health Commission, the Massachusetts Hospital Association, the AAMC Council of Teaching Hospitals, Pine Street Inn, and co-chair of the Greater Boston YMCA Board of Overseers. She is also co-chair of the Green Ribbon Commission’s Health Care Sector and a fellow of the Yale Corporation. Paul E. Weaver is a former vice chairman of PricewaterhouseCoopers, LLP, a position he held from 1994 to 1999. 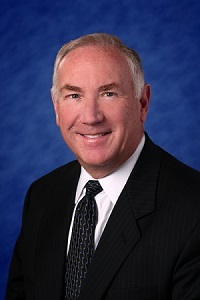 Mr. Weaver served as a director of AMN Healthcare, a healthcare staffing and management services company, since 2006 and currently serves as a member of AMN's audit and executive committees. 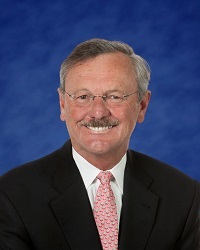 Mr. Weaver previously served as a director of Unisys Corporation, an information technology consulting company, from 2010 to 2018, where he also served as chairman of the board and a member of the compensation committee. Mr. Weaver also previously served as a director and member of the audit committee and the corporate governance and nominating committee of Gateway, Inc., a retail computer company, from 2006 until 2007 and as a director of Idearc Media Corp., now known as SuperMedia LLC, an advertising agency, from 2006 until 2009, where he also served as chair of the audit committee. Mr. Weaver has been a director since 2010. 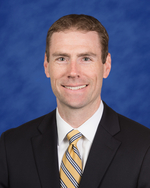 Drew was named executive vice president and chief financial officer in October 2016. He leads the company's financial activities, including financial and performance management, capital strategy and planning, actuarial, medical economics, internal controls, investment management, corporate development and investor relations. Previously he served as senior vice president and CFO. 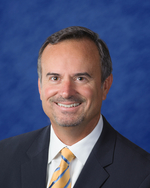 He joined WellCare in August 2014 as senior vice president. 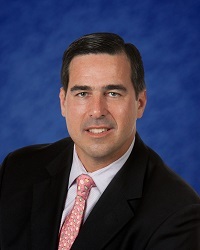 Darren serves as WellCare’s executive vice president and chief information officer. In this role, he is responsible for further advancing WellCare’s technology capabilities to support the company’s focus on growth and innovation opportunities. Since joining WellCare in 2016, Darren has introduced an innovation practice, which is used to create creative solutions to challenges impacting WellCare members and providers. He reports to the CEO and serves as a member of the executive leadership team. Dr. Mark Leenay serves as WellCare’s executive vice president and chief medical officer. In this role, he is responsible for executing on the clinical vision for WellCare with a particular focus on population health management and delivering clinical value. 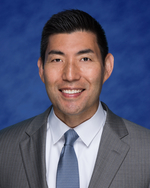 He leads WellCare’s clinical strategy and policy to improve members’ health outcomes and clinical and system integration, while reducing overall healthcare costs. Previously, he was chief medical director of care model. 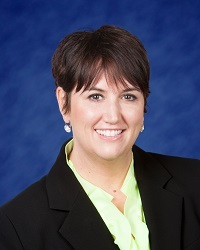 Rhonda serves as WellCare’s executive vice president and chief public affairs officer. In this role, she is responsible for the development and implementation of the company’s corporate communications, marketing, government affairs, public policy, corporate social responsibility, social determinants of health and diversity and inclusion. She also serves as president of the WellCare Community Foundation.